"What if" the Avengers existed in Victorian times, in real life, or in some sort of alternate reality Steam Punk time? What if Star Wars went Steam Punk, or based in 1942 on Earth? 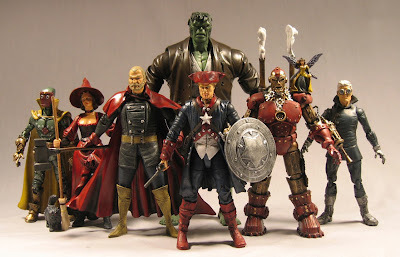 Sillof.com is an amazing custom creation site that shows hundreds of different custom action figures from various well known comic, T.V. 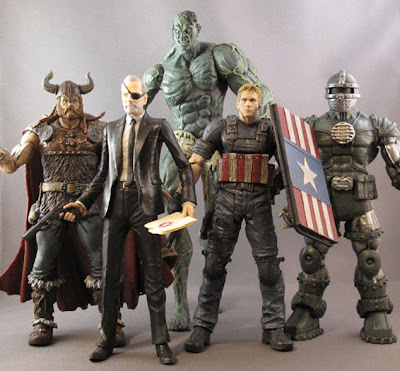 and movie releases, along with statues, diorama's and props that have been created to answer these "what if" questions and show what can really be done my independent fans with some serious DIY talent. Take a look for yourself HERE and see how much work and effort have been put into creating these awesome collections. They even have descriptions to accompany each newly created character/ figure... Very cool. Excellent read. I like your style...have a good one!